When Bob Commons began his career building fine homes and custom cabinetry, he had a difficult time finding quality hardware to complete his projects. So he began to cast his own, and what started at a small foundry in Hailey, Idaho, in 1992, has grown into an extensive line of decorative bronze architectural hardware. 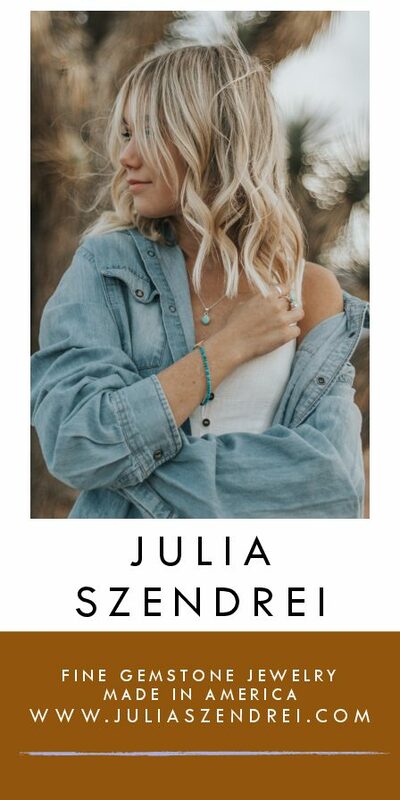 Family owned and operated, Sun Valley Bronze offers products in a variety of finishes and a multitude of styles, from contemporary, to minimalist, to traditional and art deco. Created in silicon or white bronze, each piece is handcrafted and hand finished to provide lasting functionality. 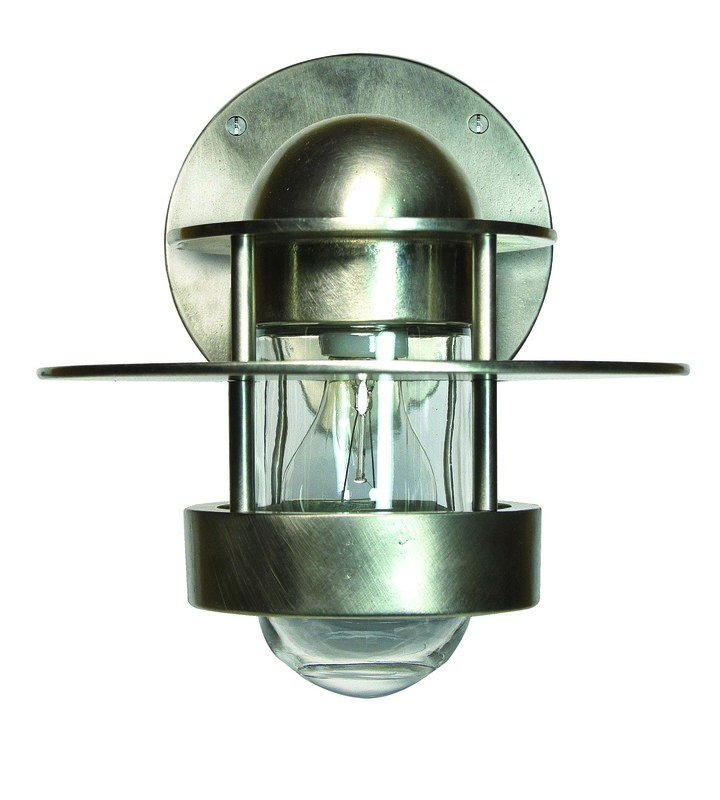 Take, for example, the Hudson sconce which combines a nautical tradition with an industrial guard for an edgy appeal. 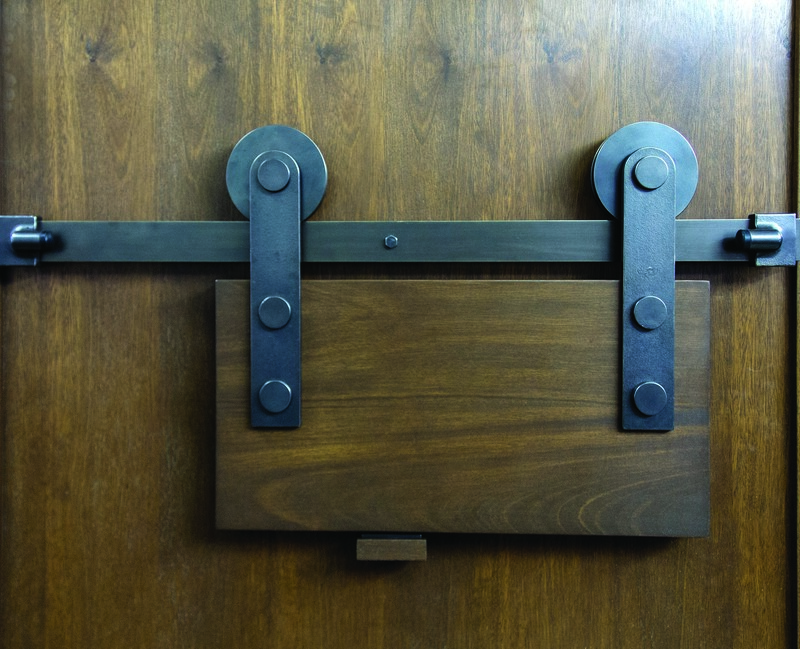 Or the award-winning bronze barn door track, which brings an updated look to hardware that dates to the turn of the century when it was used in agricultural and industrial settings. These are the details that make the difference. 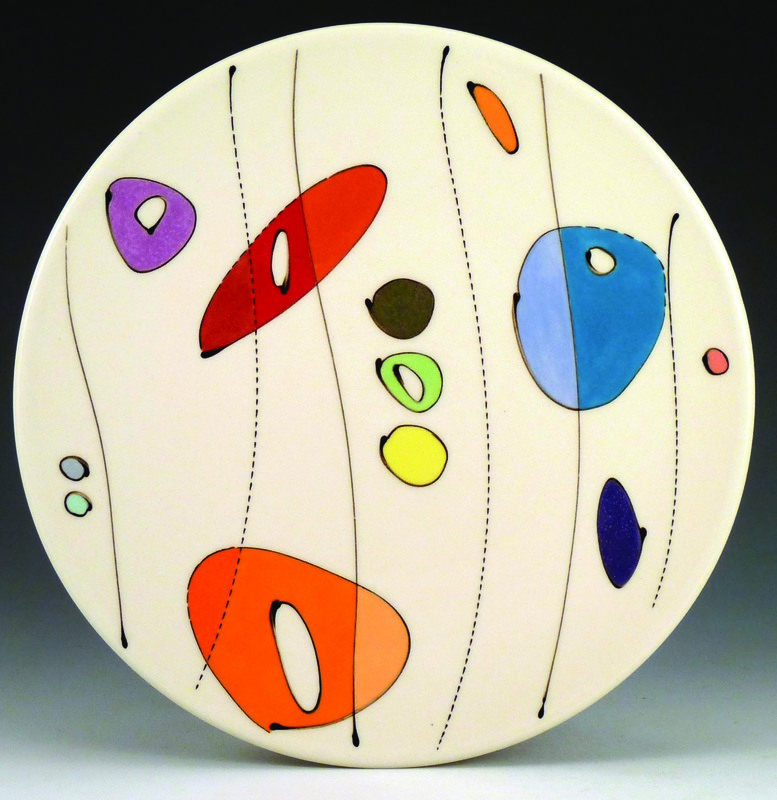 Free Ceramics is a family-run pottery studio, in Helena, Montana, that creates colorful and whimsical works. With a mission of inspiring through creativity, each playful porcelain piece is hand­ painted. The studio is comprised of a team of artists, including founder Emily Free Wilson, her husband Matt Wilson, Lauren Brophy and Nathan Haney. 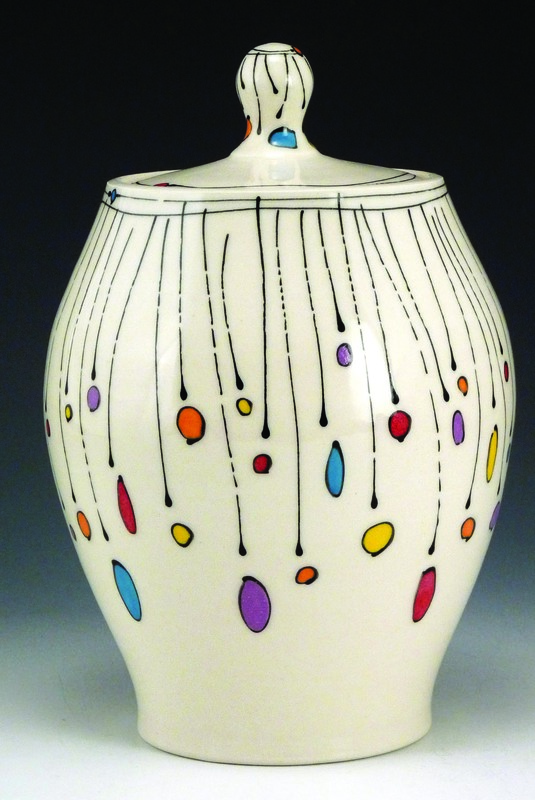 Emily, who is responsible for the original style and design of the pottery, said she’s inspired by Christmas lights, raindrops, river rock and fireworks, though family history and nostalgic remnants from the past also appear in various designs. With a spontaneous and free movement of line, Free Ceramics creates fun and functional forms with the intent that they bring joy to every use. The Chief Executive Office set by Seidel Saddlery incorporates the careful craftsmanship and artful design that has made the company one of the foremost producers of handcrafted saddles in the West. 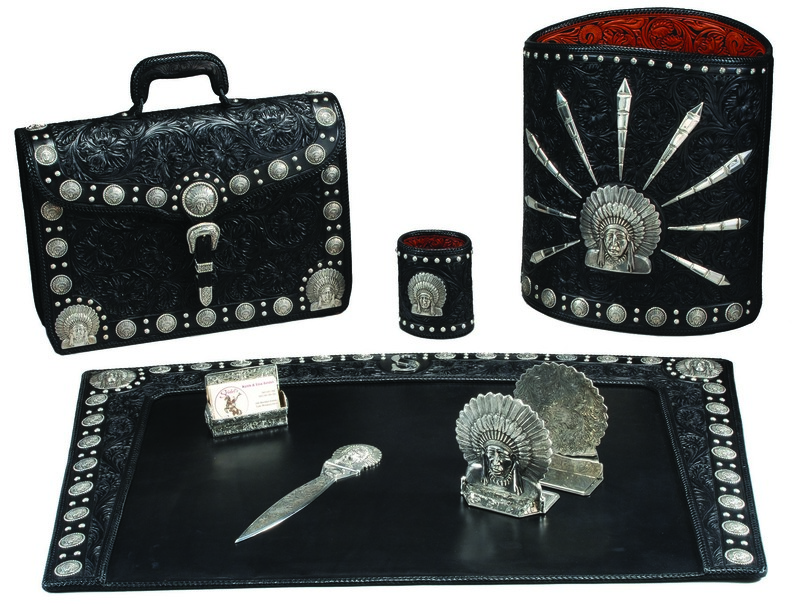 This office set, designed by Keith Seidel, was inspired by Hollywood cowboys and their steeds as they rode across the silver screen — Roy Rogers and Trigger, Dale Evans and Buttermilk, The Lone Ranger and Silver, to name a few. It includes a briefcase, waste paper basket, desk blotter, pencil cup, set of bookends, letter opener and business card holder. Each piece is created from hand-carved leather and finished with a laced border of kangaroo leather. The set also includes more than 400 individual pieces of silver created by the iconic Bohlin Company, which opened in 1920 and equipped the Lone Ranger and his horse with silver-mounted gear in the 1940s. The set is fully customizable. Mike Roths, of Bear Paw Designs, creates handcrafted cabinetry and furniture inspired by the cowboy culture of yesteryear from his workshop in Stevensville, Montana. As a woodworker since 1979, Roths is influenced by the art and mystery of the historic west, with an appreciation for the ghost towns, gunfighters and trappers that first defined its wild aesthetic. When Roths discovered that painter Brent Cotton was his neighbor, the pair collaborated to create this impressive fly-fishing-themed cabinet. 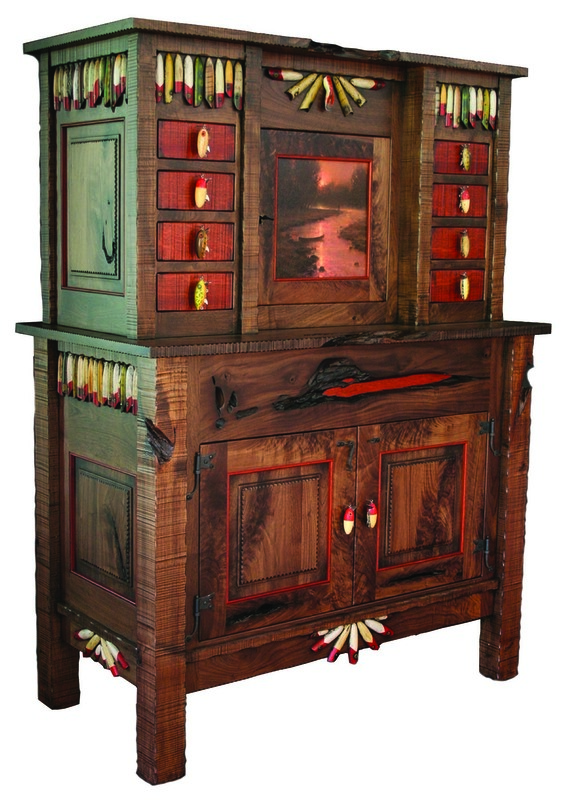 Built of sturdy walnut and African bloodwood, it is accented with vintage wooden fishing lures from the 1920s through 1950s and includes original artwork by Cotton, whose fly-fishing imagery and plein air painting has garnered national awards and collectors such as Oprah Winfrey and Tom Brokaw, among others. Old-world craftsmanship, such as mortise and tenon joinery, and the incorporation of fantastic fine art makes Grandpa’s Tackle Box a piece to be shared between generations. 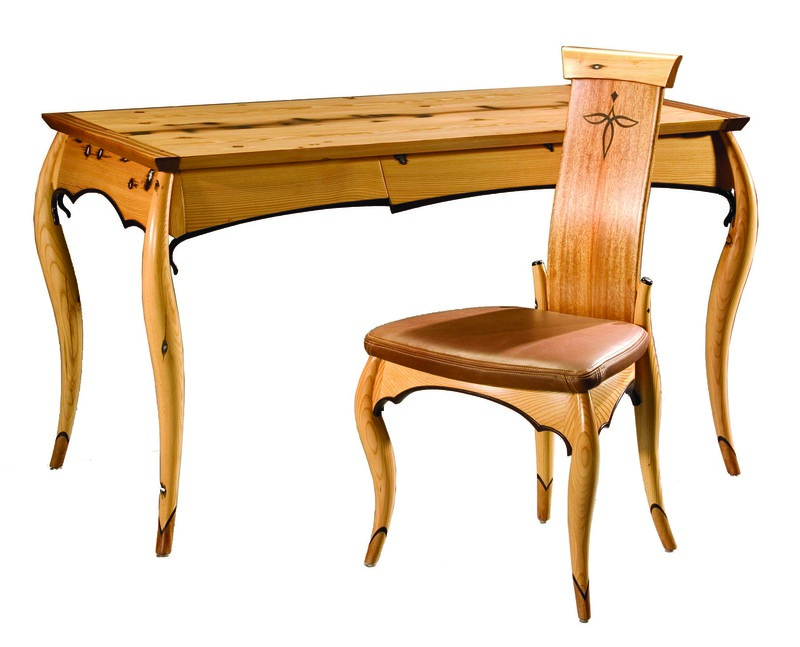 With 35 years of art experience, Scott E. Armstrong creates animated and graceful furniture pieces. Designed in a contemporary Western style, the Reboot Writing Desk is made of Douglas fir timbers reclaimed from a 100-year-­old icehouse on the Milk River in Montana. Full of personality, the feet of the desk and matching chair are carved from mahogany and wenge and resemble the tops of cowboy boots. Wood was also inlaid on the back of the chair in a traditional stitching pattern found on the toes of cowboy boots and original nail holes were filled with epoxy mixed with mica powder to give the impression of bullets lodged in the wood. It’s hard to believe that this carefully crafted desk was once a building about to crumble, and thanks to Armstrong’s creative integrity it now stands strong as a functional work of art. 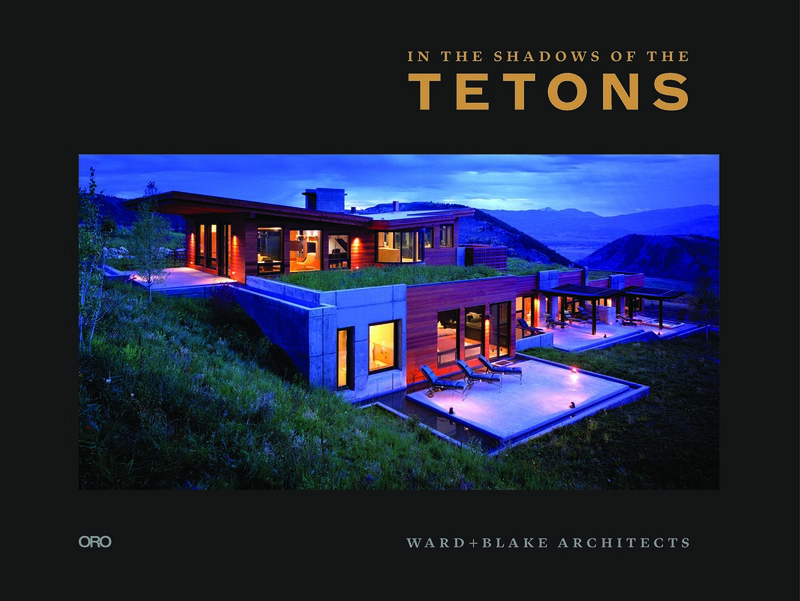 In the Shadows of the Tetons, by Ward + Blake Architects, documents the residential and commercial buildings created by the firm over the last 17 years. The 265-page monograph includes floor plans, photos and descriptions that provide a unique insight and firsthand account of the intention behind each impressive dwelling. From a sod-roofed home that embraces the land’s natural contour, to a 1980 Tudor-style renovation, to a conceived high- end resort with 250 rooms, each with a private rooftop garden, readers can examine in detail these structural works of art in placement and functionality. The Jackson, Wyoming, based Ward + Blake Architects was built on a distinctive vision: “Be provocative in thought, flexible in nature and disciplined in execution.” The modernist firm also draws upon historical context for their work, which is largely inspired by the wild beauty of the Rocky Mountains and the western landscape. The wall tent and tipi have a history and legacy almost as old as the country they sit upon. They provided shelter from severe elements for early pioneers, Native Americans, trappers, miners and hunters. Today, Montana Canvas, of Belgrade, Montana, creates structures with similar longevity and soundness. 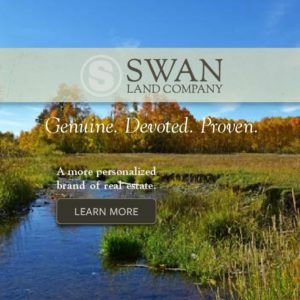 The company’s tipis are modeled after Sioux tipis with comfort and ventilation in mind. Its design sheds rain or snow and it stays standing in high winds. The wall tents are transportable and made with grade-A cotton duck canvas that’s treated with a fire retardant and mildew inhibitors. The company also carries additional tents, frame kits, dividers and a line of stoves and accessories, such as saddle panniers. With lots of sizes and styles to choose from, Montana Canvas makes it easy to call the open range home once again. An accomplished outdoorswoman and competitive equestrian, artist Jenny Booth has been carving for 25 years. She brought all her artistic skills to bear in an extraordinary and unique set of carved antlers with leather inlay by expert artisan Denice Langley. Their devotion to the craft is evident in this award­-winning work, which took a full three months to complete and uses a matched set of naturally shed antlers gathered in the mountains outside of Cody, Wyoming. 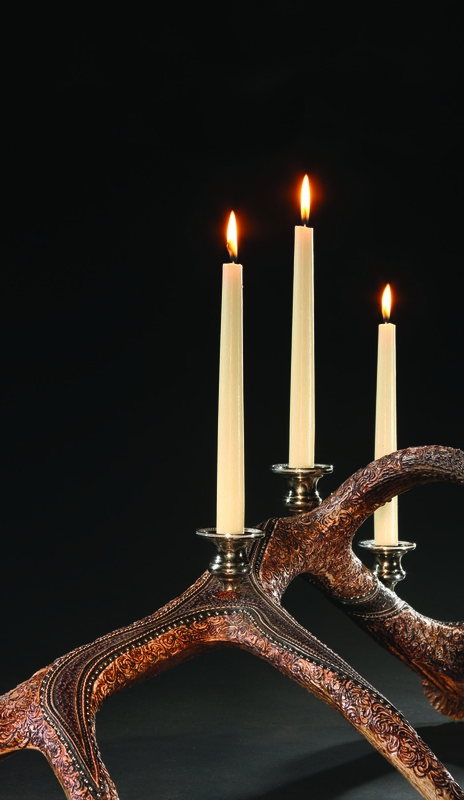 “Carving is a backward form of art — starting with a solid and taking away from it to achieve the design — and I just love the challenge of that,” says Booth. We love not just the exquisite detail on these antlers, but the fact that the set can be configured in many different ways on a dining table or sideboard, as a sculptural accent on a coffee table, or as a dramatic conversation piece in an entry hall or foyer. With his home and studio on the shores of Flathead Lake, Steve Henneford is surround and inspired by the beauty of northwestern Montana. Passionate about wood because of its warmth and character, he creates one-­of-­a-­kind furnishings by hand. He selects each piece of wood for its grain and color, and then, with the aid of a few machines and a lot of hand tools, he begins the process of sculpting. Hours of sanding, oiling and waxing are required to bring the wood to its full luster, he said. The natural beauty of the American walnut in this Musician’s Chair is accented through simple, elegant lines that are based on a Scott Morrison design. 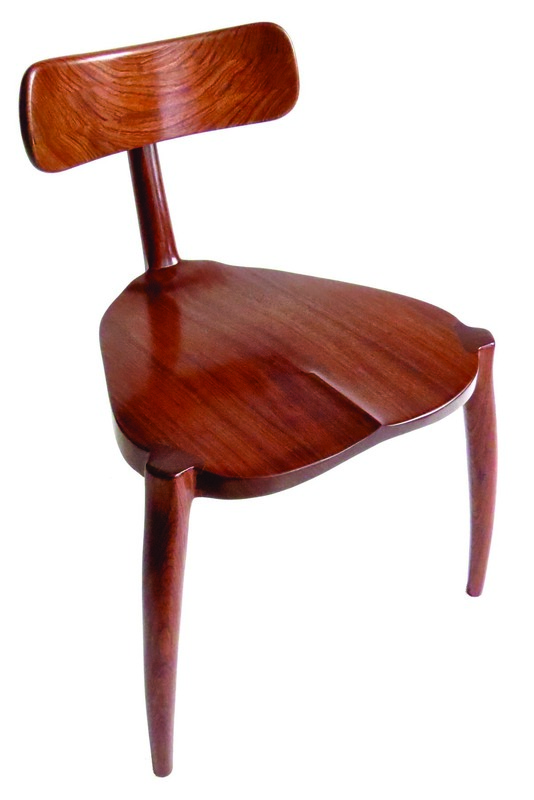 The lack of arms makes it an excellent contemporary chair for anyone who plays a musical instrument. Montana artisan and educator, Josh “Bones” Mohler, creates functional and traditional art from reclaimed materials. Using old-world construction methods and with an aesthetic inspired by a master’s degree in sculpture, he creates works that showcase the beauty and uniqueness that time and weather bring to materials. 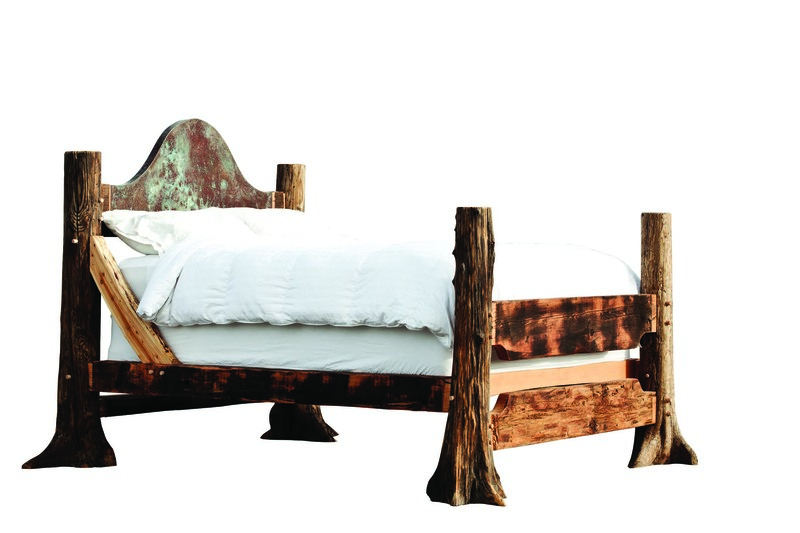 Utilizing driftwood, patinated steel and other salvage material, this queen-sized bed possesses a traceable history, creating a new purpose for wood that once belonged in a home or bridge. In this way, the material’s originality is elevated, emphasized and preserved for others to enjoy.